If you are looking for a place to work abroad, why not consider Brunei? Yes, this is a tiny country but much nearer to the Philippines compared to other destinations of Overseas Filipino Workers. This tiny state is one of the world's highest standard of living because of its bountiful oil and gas reserves. Every year, the country is employing Filipinos, both skilled or unskilled workers in the different field. 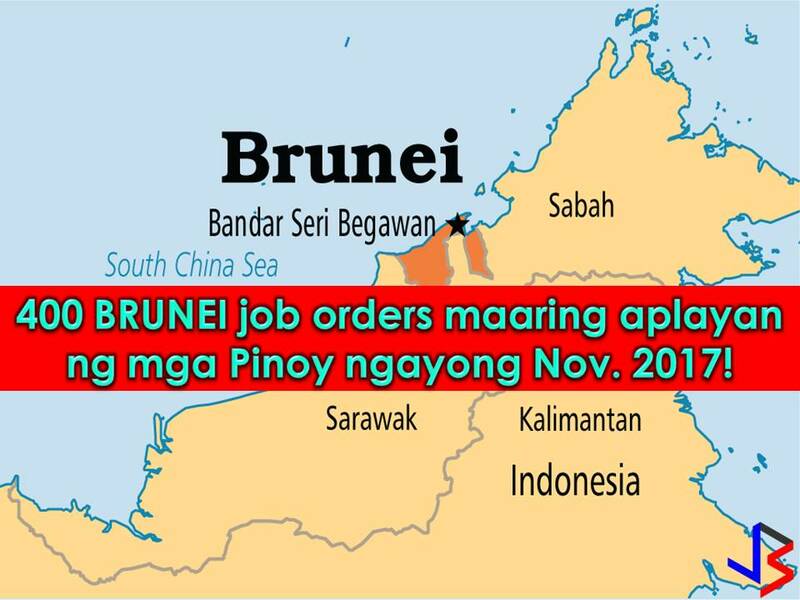 This November 2017, the Philippine Overseas Employment Administration (POEA) has approved 400 job orders to Brunei. The country is in need of the following workers; technicians, shop assistant, household service workers, salesgirls, construction workers and laborers, butchers, cook, waiter and waitress, teachers and many others.